About – Gunn Shank & Stover P.C. For four decades Gunn, Shank & Stover, P.C. has been providing comprehensive legal advice and advocacy to its clients in the greater Kansas City area. Our firm offers a wide range of legal services, including all aspects of business, litigation, appellate advocacy, bankruptcy, collections, creditor’s rights, foreclosure, income tax, real estate, land use, local government law, family law, employment law, estate planning, probate, personal injury, criminal and traffic. The history of Gunn, Shank & Stover, P.C. datesback to 1975 when Michael Gunn established his law firm in Kansas City North. Michael has focused his practice on all aspects of business, real estate, land use and income tax. 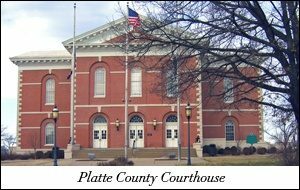 Ward Stuckey practiced with Michael from 1978 until he was appointed circuit court judge in Platte County, Missouri in 1981. John Shank joined the firm in 1981 and since that time has developed a reputation as a successful litigator and domestic relations attorney. Larry Harman joined the firm in 1987 and was a partner in the firm until he was appointed circuit court judge in Clay County, Missouri in 1994. David Stover joined the firm in 1992 and his practice focused on bankruptcy and creditor’s rights. David served as a Chapter 7 Bankruptcy Trustee for the Bankruptcy Court of the Western District of Missouri prior to scaling back his practice in 2016. Curtis Eylar joined the firm in 1989 and developed a well-rounded practice of domestic relations, personal injury, traffic law, and municipal law until his passing in 2016. Gregory Carpenter joined the firm in 1983 and currently serves Of Counsel, representing clients in the areas of estate planning, business and tax planning and litigation. All of our attorneys are committed to providing high-quality, efficient and cost-effective legal services to our clients. We take great pride in offering a full range of legal services to our clients at costs usually associated with smaller firms. As a full service firm, we have the experience, dedication and resources to meet all of your legal needs. Our representative clients include individuals, small and large businesses, financial institutions, local governments and real estate developers.